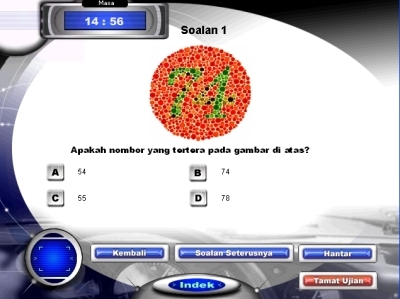 The Highway Code test which a candidate sits for after attending the Kursus Pendidikan Pemandu (K.P.P.) lecture can either be done in English or Bahasa Malaysia. The above test is held in private computer centres all across towns, throughout the country. Most computer centres have 15 – 20 computer units to cater for the students’ needs. However, there exists driving institutes which cater for such tests in their own premises. Perfect Driving Institute, based in Puchong, Selangor is amongst one of the few to conduct computer test of its own. MyEg and Speed are two examples of companies which have been given the franchise to carry out computer tests by the transport authorities. As far as I am aware, tests are conducted in computer centres practically everyday. They operate daily, from 8:00 am to 5:00 pm. Sometimes, especially peak seasons like school holidays for example, these computer centres even operate as late as 9:00 pm. As a lecturer for the K.P.P. course, it is found some driving school or institutes do not give the correct information to their candidates. They fail to provide the information that candidates wishing to appear for computer tests should at least know basic computer. Most potential drivers, especially those in the range of 40 – 55 years old, cannot be expected to know anything about computers. They are, as we can safely say, computer illiterate. What driving schools or institutes should do is to inform students wishing to enroll for a driving course, that the Highway Code test conducted by the J.P.J. authorities, is conducted via computers. How are potential driving candidates, especially those who are in the older age range to pass their Highway Code? The J.P.J. authorities do in fact carry our oral tests at selected centres all across the country. These are done especially in rural areas like Batu Laut, Selangor periodically. Most driving schools are aware of these rules and regulations. They have to register their students with the transport authorities months ahead of the scheduled tests. Coming back to the question of computer ignorance among some older potential driving candidates, what driving schools and institutes should ideally do is to tell the candidates the real truth. Those not able to operate the computer should not be brought in to attend the K.P.P. lectures in the first place. As a lecturer of the K.P.P. course, which last 5 hours incidentally, it saddens me to see such folks aged 50 and above to have to attend these gruesome 5 hours lectures, inspite of the fact they are unable to sit for the computer tests. Driving school operators should be more ethical in the way they conduct their businesses. They should inform potential student regarding the real situation and let the students decide as to whether they choose to attend the 5 hour lecture or otherwise. If potential candidates decide to continue pursuing the course, then they have little choice but to learn up computer technology, which might take even a few months. A candidate not knowing anything about computers, computer illiterate, so to say, can learn up how to operate a computer in many ways. 1) Get family members to instruct you. 2) Go to most driving school offices which have computer sets nowadays. 3) Go to institutes office, where clerks can help you, for a small fee of RM5 – RM10. 4) You could even visit computer centres all across towns to take up a crash course on computer. 5) You could even engage colleagues to assist you in the office. As the saying goes, “if there’s will, there’s always a way”. Unfortunately, the answer is no! No other languages are allowed. Some students, especially from other countries like India, China, Libya and so forth, inquire if they can get study sources like text books and pamphlets in English. To tell you the truth, besides Bahasa Malaysia, securing books and reading material, is difficult, but not impossible. But do not despair. Try asking your driving instructor to assist you getting what you want in English. If you instructor should work hard enough, it is certain, that you problems would be overcome. Besides the above mentioned problem regarding computers, make sure that as a potential candidate, you’re not blacklisted in the J.P.J. files. This will prevent your being registered as a candidate. uh i would like to check if you register already for undang but dont go,is it counted fail?because the person who handling my driving license says that he register for me already (which is it possible for he to register for me anyhow i dint giv him any information? )and because i dint attend counted i fail so i hav to pay he RM50.can you tell me if this is real or not ? Each instructor has his / her ways of dealing with such a situation as yours. If your instructor has already enrolled for you undang test, then he is correct in charging you. Hello Mr. Yap, I sat for my JPJ Undang the first time on the 22nd of January 2012 after attending the 5 hour DEC/KPP class in SDC Driving Centre Sdn. Bhd, located in Section 14, Petaling Jaya. So I went for the computer test on the 26th of January, and I FAILED the test by ONLY 1 MARK. I got 41/50. And today as of today, 13th February 2012, I FAILED my test once again with the SAME score of 41/50. So I did some analysis on my results to see what my weaknesses were. I sat for the computer test in English by the way. I attended the 5 hour KPP class in English too. As of what I have been able to ascertain, my weakness lies in the Bahagian C section, which is Section C about the KEJARA system and traffic law. I had 5 out of 10 question correct. Section C/Bahagian C is the most difficult section to me. ALTHOUGH I have been studying really hard for the test. I studied for this JPJ Undang test like how I studied for my SPM last year in 2011. On the other hand, I didn’t really do quite well for the Bahagian B, which is all about the road junctions and all that is relevant. I got 21 out of 25 question correct for that section. I found that part a little tough. As for the first section, Bahagian A/Section A, it was rather easy. I got all the question correct. All 15 out of 15 questions. So therefore I just would like to know, what are my CHANCES of passing the THIRD time I re-sit for my undang test? My first and second attempt ended with the same score. 41/50. Still a ”GAGAL. Now I want to get a 42/50. So that it becomes a ”LULUS” which is what I am wishing for! Who doesn’t want to pass undang, I mean? So Mr. Yap, what is your personal opinion on this? Do you think I have what it takes to pass the test? And what are my chances? Are my chances of passing this test HIGHER for the third time or will it be LOWER? Because like I mentioned not too long ago, I have sat for this test TWICE and I FAILED at both attempts with 1 mark to spare. Both 41/50. So the only thing I wish for now is to get a 42/50 the THIRD time I sit for it. Which will be on the 20th of February 2012, this coming Monday. Thank you very much for your opinion and advice on this matter, Mr. Yap. It will surely be appreciated. All I wish for is to just pass this JPJ Undang test. Regarding your chances of passing the next time around, it actually depends on how you prepare for the exam. My advice is, do not make more then 2 mistakes for every section. Section C, as I reiterated always is very important. You ideally should get 8/10 if you wish to pass. Study this section carefully. I failed the KPP test Last week, I have only get 23 correct out of 50 question, before the test, I have downloaded one of the KPP test program English version from internet, everyday, I have conducted the test program by my own from my own computer, everytimes I get get correct more than 45 out of 50, it’s PASS. Everyday, I have perform 10~15 times test, All PASS, so that, I am very confident I can Pass the KPP test, unfortunately, when I attend the KPP test at Rilek Office, I failed it, I was only get 23 correct out of 50 question, I found that many question I didn’t see before from the KPP test program which I downloaded from internet. I am realised that the Malay version of the KPP test program, the Program file size is much more than the English version one. can you give me some advise how can I pass the KPP test ? I am foreigner, I don’t understand Malay, my english understanding also got limit, I am best for remember something, so that I did many test and remember the question and the answer, after many test, Mostly, I will get 50/50 correct the the Kpp test English Program, but the actual KPP test englsh is quite different from the Program. 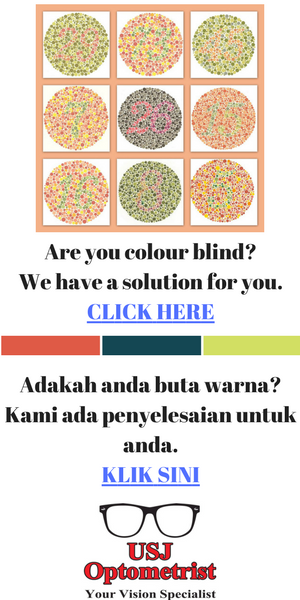 Can you help me before my next KPP test ? As a foreigner who is weak in English, you have to work hard in order to pass your Highway Code. “Driving made easy”, so far only got English Version ? got Chinese version or not ? If yes, Where can I buy it ? Your decision to study harder for your exam augurs well for you. My book, Driving Made Easy is currently available in English only. The Bahasa Malaysia version is in the process of compilation. I might produce a Mandarin version maybe in the future. I’ve failed my JPJ Undang-Undang test for more than three times. I’m weak in Section C about the KEJARA system and traffic law. Because of this, I had given up for my driving license since the end of 2010. Now, I decided to continue with my driving license. So Mr. Yap, what is your personal opinion on this? Do you think I have what it takes to pass the test? Are my chances of passing this test HIGHER for the fourth time or will it be LOWER? Learn up Section C thoroughly. thanks Mr Yap for your explanation. I have a problem (OKU~ ADHD) and i find it much difficulty in reading the book, as in memorising the book. But yes, i understand i have to understand. but due to my problem, it is difficult for me to read and remember. do you have any tips for me (or for many special people out there) on how to read and memorise the rules and regulations of this book. Register with a good instructor. Over come your problem by requesting your instructor to arrange for an oral highway code exam. Do you have or happen to know where I can get an English version of Highway Code Text book? If you do please let me know where to download or buy it. Online is saying the Highway Code tests can be taken either in English or Bahasa Malaysia, so is it any truth to it? Dear Jeff, Latest Highway Code is in BM only.